The flavors of Mexican cuisine are some of the factors why the world loves Mexico. Specifically those from Oaxaca, since their dishes involve the history, traditions and millenary techniques that make it one of the most exquisite in the country. The diner is very demanding when choosing which dishes will delight your palate, so there are restaurants that take the experience to another level. That's why we chose the best restaurants in Oaxaca that blend perfectly with the culture and typical ingredients of the region. Chef Alejandro Ruiz is one of the most recognized in Oaxaca, and of course in Mexico. In his restaurant he lives an animated rhythm accompanied by the transparency of the light, provoking a vibration of colors that exalt all the senses. He mixes flavors and aromas of Mediterranean herbs with Oaxacan ones, like basil and rosemary that blend their flavors to provoke one of the most unexpected creations, but more interesting for the palate. Here, one of the best restaurants in Oaxaca, you can not miss the guacamole with chapulines and quesillo; and the golden tacos of duck, coloradito, frijoles de olla cheese and cream. As soup a stone broth, fish, shrimp, octopus, clam and mussel. The highlight is the black mole with turkey, chepil rice, banana puree and fried plantain. And to close the culinary experience, a crème brulèe of eggnog with mint. A Gurrión 104 A, RUTA INDEPENDENCIA, Centro, 68000 Oaxaca, Oax. José Manuel Baños wanted to transmit his love and devotion to Oaxaca through his dishes, his recipes are a culinary journey that covers all the flavors of the state. This love translates into fun and modernism reflected in the dishes, but without neglecting the recipes that he has inherited for generations. 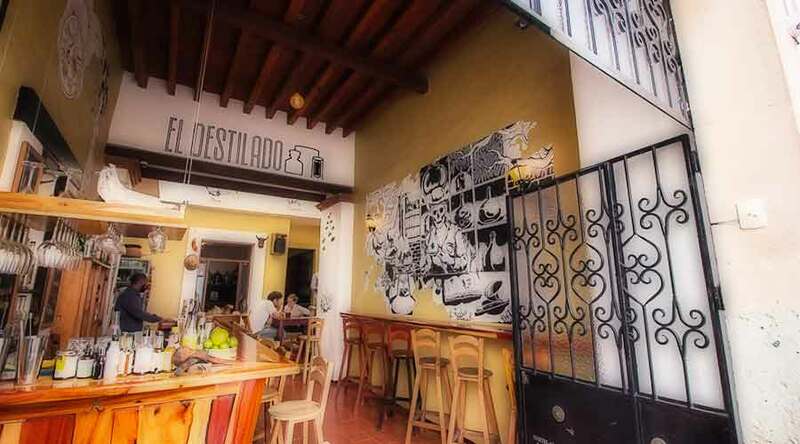 The name of this restaurant arises because it is one of the emblematic herbs of Oaxacan cuisine and in 2014 it entered into the list of the 50 best restaurants of S. Pellegrino. 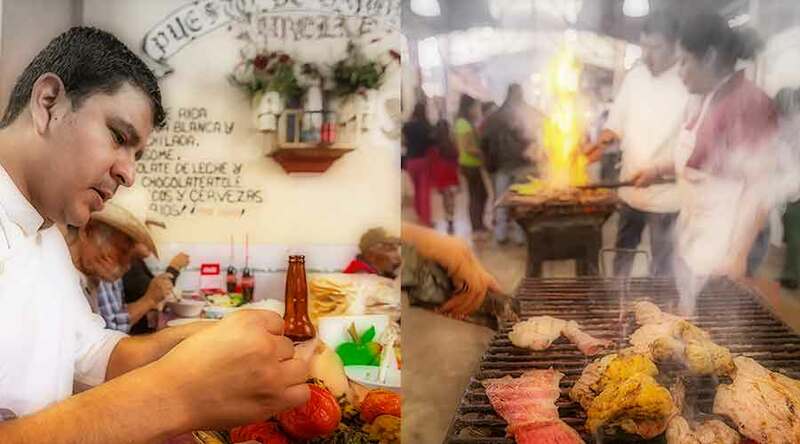 You can find an ample menu that goes from the molt istmeños, fish with chicatanas, memelitas of shrimp with mole chichilo, risotto with escamoles; up to the traditional mole. Ignacio Allende 114, RUTA INDEPENDENCIA, Centro, 68000 Oaxaca, Oax. 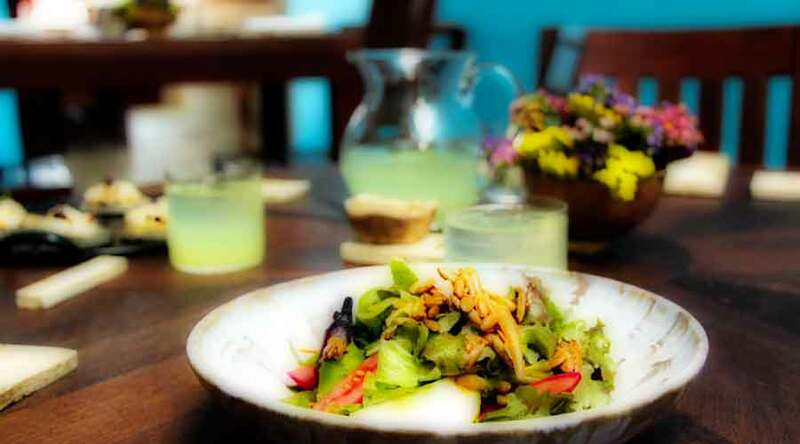 This restaurant is the representation of Mexican cuisine with a modern touch. Distilled is the creation of 3 young Americans who fell in love with culture, ingredients and, of course, Oaxacan cuisine. Here, the chef Julio, who is Mexican, is in charge of offering the diner tasting wraped in a rich culinary experience. 5 de Mayo 409, Centro, 68000 Oaxaca, Oax. 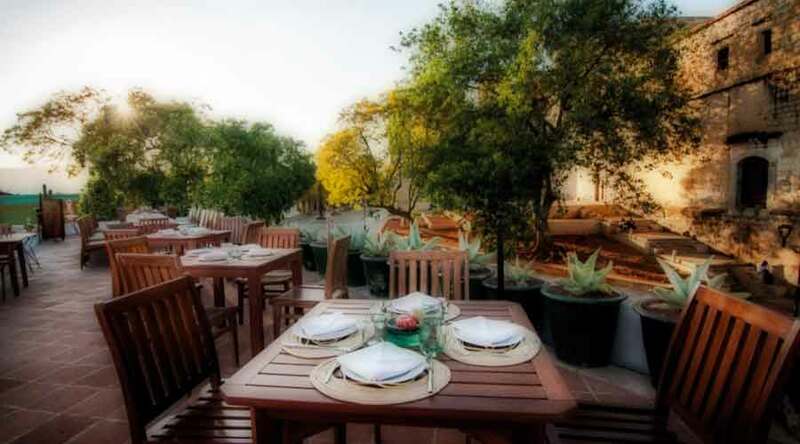 Of the restaurants in Oaxaca, this stands out for the experience of Chef Rodolfo Castellanos, who reflects the culture, customs and traditions in each creation, here every ingredient makes sense. The inspiration of this gastronomic venue arises from the chef’s mother, from whom he learned all the recipes and techniques, therefore, the kitchen of origin is the consequence of the context and life learning by Rodolfo. Fresh, varied and exquisite ingredients are inside a huge pantry, where they are divided by region and season. Try the hummus of green beans and chili, guacamole with chapulines and chepiche. As a main course, the duck breast, jumbled quinoa and amando and quince are noted. And for dessert, a rich corn cake with champurrado ice cream and pinole foam. Miguel Hidalgo 820, Centro, 68000 Oaxaca, Oax. Just a small list of restaurants in Oaxaca. We try our best to keep things updated. Let us know if any of this information is incorrect, or if your favorite restaurant is missing from the list!